Music, Wine & Food on the patio and pond! These hot seasoned professionals got together to do some rich jazz music – and they are kicking off the release of their new CD! Dave Averre- an accomplished jazz drummer and educator whose career spans more than three decades. He was recently named to the Oregon Music Hall of Fame for his work with local legends ‘Tall Jazz”. Craig Snazelle on bass- has played with many of the big names up and down the west coast. Matt Tabor on piano/keyboards who switched from purcussion to piano and has never looked back. Then come on down to the pond for some latin style jazz from Toque Libre! 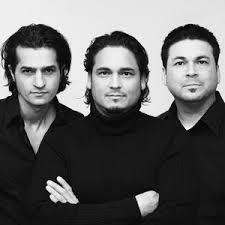 If you like the gypsy kings you will love these guys! Toque Libre is a Flamenco musical term meaning “free form”. True to form, Toque Libre combines the melodic pop sensibilities of the Ojeda brother’s music writing style with the driving Flamenco Rumba rhythms of Mehdi Farjami’s Guitar playing. Toque Libre’s sound is made complete with the addition of hypnotic pulses borrowed from the Afro-Cuban genre. And we will be featuring the great food of Mt Angel’s Glockenspiel Restaurant. A destination in the valley for their fine European style flavors…. Join us at the Habitat for Humanity Auction….